The Global theme for this year is "Wanted: Leaders for a TB free free world" and the national theme is "Let's kick TB out of PNG" and this day is celebrated on March 24 every year. This is five years ahead of the 2030 deadline set by other countries. Two years after the end of the European Union action plan on TB, little has been done on the creation of the new integrated policy framework addressing HIV/AIDS, Tuberculosis and Hepatitis C.
It is one of the leading killers among people of working age people creating and reinforcing a cycle of ill-health and poverty, with potential catastrophic social and economic consequences for families, communities, and countries. According to the last year's data of the World Health Organization, around 10.4 million people fell ill with TB and there were 1.8 million TB deaths in 2016, making it the top infectious killer worldwide. More than 95 percent of TB related deaths happen in low- and middle-income nations. Experts from South Reading Clinical Commissioning Group (CCG), TB specialist nurses from the Royal Berkshire Hospital and the borough's public health team will be at Reading Central Library, Abbey Square, Reading, Berkshire, between 11am and 2pm and at Battle Library, Oxford Road, Reading, between 1pm and 3pm on Thursday, March 22, to give advice. The day is aimed towards achieving the target to end the epidemic of TB, globally. Over the period of years, it is observed that not all tuberculosis cases are new patients. Without a response to TB based in human rights - including moving rapidly to community-based care and improving the conditions in prisons - we believe that progress will remain fatally slow. "Early diagnosis and complete treatment of tuberculosis is the corner-stone of tuberculosis prevention and control strategy". It's understood that tuberculosis is spread from person to person when an infected person coughs or sneezes into the air. TB was made a notifiable disease in 2012 but inadequate reporting is the biggest problem the government faces in controlling the disease. Post-treatment follow-up of TB patient is minimal and requires due attention. 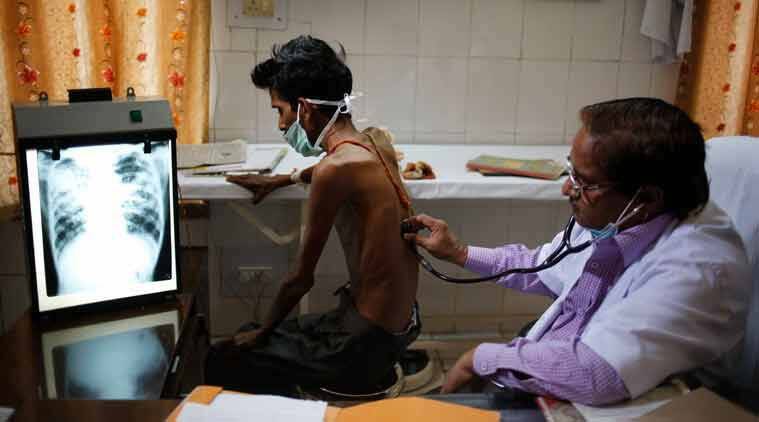 Invoking the penalty clauses, the government hoped, would increase the notification rate from the private sector as almost 10 lakh TB patients are now not on the government radar, which means their treatment quality and duration remains a suspect. Brac Director Dr Akramul Islam said since TB in urban areas is still increasing it needs special attention from the authorities. Anti-pathogen Macrophage (red) engulfing tuberculosis bacteria (yellow). And because the issue of drug-resistance is unavoidable when antibiotics are involved, we want to see a healthy pipeline of new drugs, diagnoses, and approaches for the future. "We occasionally have to deal with cases of patients unable to take their medicines because of challenges and constraints at their places of work, slowing down the recovery process", said Ms Atieno. In contrast, adolescents who develop the disease are likely to pose a risk of infection to others.